Doctor/River - 5x04 - Time Of The thiên thần. . HD Wallpaper and background images in the The Doctor and River Song club tagged: the doctor river song doctor who series five episode 4 time of the angels screencaps. 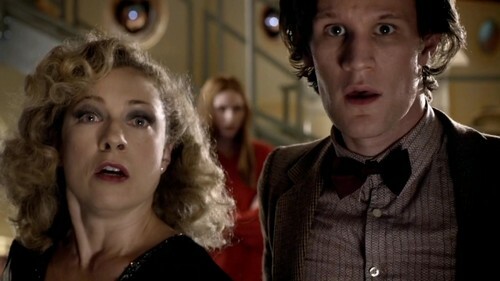 This The Doctor and River Song Screencap contains chân dung, headshot, and closeup.